As Elizabeth wrote last week, book covers are a big deal. They hint at what lies between the pages. They can turn off—or turn on—readers. Some readers make buying decisions based primarily—or even solely—on the cover, if I read the comments in her post accurately. The Atlantic just ran an article about the covers of Elena Ferrante’s Neapolitan novels, which chronicle the friendship between two ambitious young women over the course of 50 years. 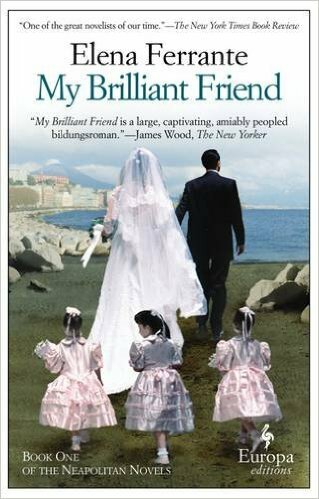 The series has sold more than a million copies in the United States alone and received glowing critical praise since the publisher Europa released the first book, My Brilliant Friend, in 2012. But the series covers have been trashed. 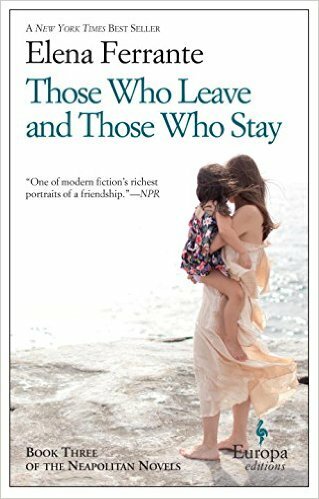 Readers have described Ferrante’s covers as “horrible,” “atrocious,” “utterly hideous,” and a “disservice” to her novels. She picks the images for her books, so I’ve got plenty of sympathy for her. The Atlantic discusses the misogyny of publishing, the misogyny directed against “women’s themes,” the “ghettoization” of covers, how covers can be developed with no appreciation of the contents, and a lot more. The article begs the question: Is Ferrante an idiot for pitching her books to people who want women’s fiction, suitable only for beach reads, thus lowering her literary credibility? Or is she brilliant for pitching her books to people who want women’s fiction, suitable only for beach reads, thus increasing her readership and commercial appeal? The article is worth a read for anyone planning to develop a book cover. 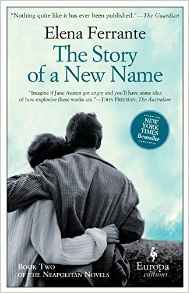 I have something in common with Ferrante: a lousy cover. I recently approved a cover that I dislike for a novella that I’m taking to RWA and giving away at the indie author book signing. I was in a hurry; I needed the cover quickly; I didn’t want to do rounds of revision; and it does show what’s on the inside. So I said okay. The ugly cover wasn’t the designer’s fault, or not all her fault—I art directed her to this hot mess, I selected the images, and she in general does terrific work. To protect the innocent, I’m not showing it to you, but if I decide to put the novella up on Amazon, I’ll have her take another pass at the cover. For anyone who might see the original and the revised versions, it can be like a book cover makeover lesson. At least, if I have an ugly cover, it’s about the cover, and not whether I write romance novels. This entry was posted in Authors, Publishing and tagged book covers, Elizabeth Eldridge, Kay Keppler. Bookmark the permalink. I saw that article, too! And I’m still processing what I see on that cover. It’s bad because it’s bad design, I’ve come to think. Not because it’s romance. But some dumb snobs have decided it’s bad because it’s got faceless women on seascapes. I read at least once that in dreams, the ocean represents sexuality. So, why not have oceans? The real sin, if it is a sin, is that photoshop, though. Ugh. It gives the three little girls an “uncanny valley” look that makes me think of ghosts. Little girl ghosts. Three of them. Brrrrr. But is it bad? It’s so bad that I’m certainly not going to forget it soon. Maybe Ferrante needs a cover with a three-legged woman on it (ala the three-armed Christina Dodd cover Justine mentioned recently). Now THAT would throw the male literary critics into an absolute tizzy. “She’s appropriating our manhood!” Ha! The three little girls are photoshopped (probably the bride and groom are, too), but I totally fail to see why readers would call these covers “hideous.” Unless, as the article suggests, readers are being snobbish about it all, and they don’t want anyone to think that they’re reading a romance novel when they’re really reading literary fiction. Although those distinctions aren’t always clear. I haven’t read any Ferrante yet, but a friend of mine says they’re utterly fabulous. So they’re now in my TBR pile. Covers are so much a matter of taste, really. The things I adore many people would find “hideous”. I just find those little girls really hideous, and I feel that the rest of the cover is very handmade. No, not handmade. Ungainly. I have been thinking for five or six years that “handmade” is where the future of art is, though. There’s this Sunday morning news show, and for one segment, the props are all handmade. The letters are very nicely handwritten in marker, and then they use the most clever devices to provide new information — flaps, rotating pyramids, cubes that transform into different blocks with new facets. The handmade stuff shows that someone has put in a lot of time and work on their hand-eye coordination, and that the show can afford an employee (or three?) to work on this through the week. And while it’s not gorgeous, it’s eye-catching and attractive. I will have to read Ferrante’s books. Maybe she gets pushed up higher on the pile. Are her covers perhaps pointing out something cut-and-paste about the modern relationship? Being straight-lit genre, it’s entirely possible that the weird off-balance thing is supposed to be there. To tell the truth, though, I think Christina Dodd’s three-armed woman cover is more pleasing as art. It’s very bland, and very much of a piece with many other romance covers in that subgenre. My eye just kind of skims over it, noting hair and frilly dress. I had to be told there was a third arm (-:. I’ve enjoyed mulling this whole thing over. So glad you posted and gave me a chance to ramble some of my thoughts out on the screen where I can take a good look at them (-:. I read about this article on The Passive Voice, along with the publisher’s comment that they had deliberately chosen to ‘dress’ a refined story with ‘a touch of vulgarity.’ I had a couple of thoughts at the time. First, that if the book found a wider audience because of its ‘vulgar’ cover then that was a good thing, provided the majority of that wider audience enjoyed the writing. If there was a huge disconnect and the readers felt conned or misled by the gap between the contents and the cover there would have been a backlash – which seems not to have happened. So at the very least, the covers must be a reasonable representation of the contents. Second, the publisher’s explanation seemed to denigrate the wider audience they sought to attract. Surely comments like that do themselves and their author a disservice? As for the covers themselves, from the perspective of a romance reader rather than a lit fic aficionada, I’d say they signal ‘upmarket women’s fiction.’ Combine that with a cover quote from The New Yorker describing the story as a ‘bildungsroman’ and I’m thinking women’s fiction/lit fic crossover. So if that’s the sweet spot they were aiming for, I’d say they hit it fairly and squarely. Look forward to seeing your ‘ugly’ cover, Kay. If it shows what’s inside, that should count for something 🙂 . My cover is ugly by any standard. And if Europa thinks the Ferrante covers are ugly, or vulgar, or whatever they choose to call them, then they don’t get out enough, that’s all I can say. It does seem that the covers exactly hit the audience they’re reading for—she’s sold a zillion books, and all the reviews are raves. So, you’re right—they hit the sweet spot.